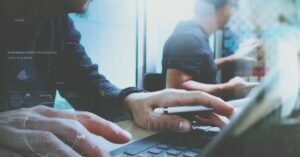 The widespread use of cloud solutions for core business processes makes reliable Internet connectivity critical for small to medium-size enterprises. From inventory management to communications and virtual desktop infrastructure, enterprises are placing more workloads in the cloud and more pressure on their networks. Also, a growing remote workforce highlights the importance of supporting productivity anywhere, at any time. Delivering multi-site wide area network (WAN) successfully becomes a critical priority. An enterprise can spend months planning the rollout of a cloud solution, with extensive testing and buy-in from key stakeholders. When it’s deployed across the entire organization, performance issues often emerge, and productivity suffers. These performance issues may immediately be designated as network problems, even if the infrastructure is supporting other applications for superior delivery. Inbound Load Balancing: The WAN micro-appliance acts as the domain name server (DNS). The appliance captures all available WAN links and advertises them to the DNS caching servers to resolve the domain names with a round robin approach. This allows all initiated sessions to benefit from load balancing by including all available links. Any failed links are immediately removed from the DNS tables, and DNS caching servers regularly flush address tables and update them so that they are informed when there is a link failure. Failover: The delivery of multi-site WAN optimization offers built-in failover that’s crucial for any size enterprise relying on cloud solutions for business processes. Multi-site WAN optimization doesn’t rely on a particular pathway or ISP, so if there’s a problem with any particular link, the WAN solution can automatically employ a failover option. Security: Not all multi-site WAN solutions offer security features that are native to their designs. Look for built-in firewalls and additional security features that not only add protection but also reduce the cost of support and minimize the complexity of maintenance and management. The performance of the multi-site WAN directly impacts application response time, including not only transaction time, but also the performance level users experience at a remote branch location. While performance is essential for any networking solution, it becomes more critical for a WAN infrastructure. As the central point of aggregation, it must support high levels of network traffic. Defining performance measures the bits-per-second the device can handle. You can also measure how many WAN links are being supported, the failover response time, the number of concurrent sessions it can support, total domain names and host names within each domain. To support this performance, multi-site WAN must be able to intelligently prioritize network traffic, particularly during times of heavy congestion. Automated rules allow the device to route traffic based on minimum and maximum bandwidth amounts for each type of traffic. Software-defined wide area networking (SD-WAN) is an advanced approach to multi-site WAN, bonding multiple links into one high-bandwidth channel to ensure maximum performance for all applications. If one pathway experiences an interruption or a performance issue, SD-WAN automatically routes the traffic to the next best link. SD-WAN is delivered using a virtualized overlay that is placed over the physical network, ensuring centralized control and visibility. By accessing a variety of routing options, network administrators ensure that the application performance is never compromised, even if there’s an ISP failure or outage. Many SD-WAN solutions offer not only this intelligent load balancing and failover solution, but also include built-in firewalls and other security features. In addition, because the solutions rely on traffic segmentation for load balancing, they are also able to isolate and protect any network area that is threatened. If you’re in the process of evaluating your network infrastructure for the possibility of applying multi-site WAN solutions for improved performance and cost savings, contact us at TailWind. We ensure your enterprise has access to high-speed broadband connectivity and support deployment and implementation with on-site certified technicians. Let’s solve your networking performance challenges with the right multi-site WAN implementation.